Informally called “Obamacare”, the 2010 Patient Protection and Affordable Care Act (PPACA), is based, in part, on Republican Presidential nominee Mitt Romney’s 2006 Massachusetts healthcare reform law. This would suggest the two candidates share a similar vision for healthcare reform in the United States. This couldn’t be more untrue. Though, Romney suggested his state healthcare reform law could be used as a possible model for other states, he is a believer in “states-as-laboratories” and feels that a federal health care program would be costlier, less efficient, and would decrease the quality of care. To increase efficiency and improve services, Romney focuses on increasing competition by allowing the purchase of insurance across state lines and allowing individuals more choice in which benefits and services they would like included in their health insurance plans. He proposes promoting individual health insurance ownership by offering a subsidy to those who purchase their own health insurance, whereas now, the tax code only offers a subsidy to those who purchase their insurance through an employer. He would remove restrictions that do not allow Health Savings Accounts to be used to pay premiums. 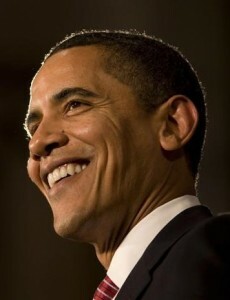 Barack Obama was determined to implement national healthcare reform in America in order to slow the growth rate of health insurance premiums and ensure that all Americans have the ability to attain health insurance, working families and those with pre-existing health conditions remain covered, and bring down healthcare costs. He believes these goals will be achieved by expanding Medicaid coverage, removing lifetime limits in private health plans, providing tax credits to employers and families for the purchase of health insurance plans, and requiring certain preventative services are provided without being accompanied by co-pays or deductibles. In order to keep the power with states, Romney advocates using block-granted funds to expand Medicaid to low-income and uninsured Americans. Romney would limit federal requirements and standards placed on Medicaid and private coverage to allow states greater flexibility in helping those with low income and chronic illness. This would be accomplished with the use of reinsurance, high-risk pools, exchanges, subsidies and public-private partnerships. The PPACA also includes and promotes the use of exchanges, subsidies and public-private partnerships to reduce healthcare spending by individuals, families and small businesses. The 2010 Healthcare law expands Medicaid to 133% of the federal poverty level, with the federal government paying an increased share of Medicaid costs. The new provisions allow many more income-eligible adults without dependent children to enroll in the program, which will have a significant impact on bringing down the number of insured. The law requires that state provide “benchmark” benefit packages which include essential health benefits and services. While Mitt Romney calls for a cap on non-economic damages in medical malpractice lawsuits and alternative dispute resolution or the creation of health care courts, he supports the medical liability reform included in the PPACA which seeks, via “demonstration grants” to states, to develop alternatives to the current tort litigation, increase patient safety, reduce medical errors and increase access to liability insurance. There is also common ground when it comes to allowing young adults to remain on their parents’ insurance and prohibiting the denial insurance based on pre-existing conditions, but under Romney the provision would only cover those who have had “continuous coverage” and Obama’s provision requires that individuals have been uninsured for at least 6 months. Obama’s Patient Protection and Affordable Care Act attempts to the “donut hole” in Medicare Part D coverage, which is the gap between where the spending level for initial coverage is reached and the spending level where catastrophic prescription drug coverage begins. This is to be accomplished by: lowering the level at which catastrophic coverage starts, gradually reducing how much beneficiaries pay for generic drugs, providing a rebate to those who reach coverage gap and requiring that drug manufacturers provide a 50% discount on prescriptions filled in the Medicare Part D coverage gap. Other changes include the establishment of a new Federal Coordinated Health Care Office will be created in order to improve coordination for dual eligible beneficiaries and the implementation of various cost containment measures. In order to further cover costs, a 0.9 percent Medicare tax will be applied to the wages of individuals earning over $200,000 and jointly filing married couples earning at least $250,000. Romney would make no changes that would impact current seniors or those close to retirement. Existing spending would be used to provide seniors with a fixed-amount benefit that could be used to purchase an insurance plan, with the requirement that these plans are comparable to current Medicare coverage. Seniors who wish to purchase more expensive plans would be required to pay the difference between the fixed-amount benefit and the premium price, while those who choose less expensive plans can repurpose those funds towards paying other healthcare costs, such as deductibles and copays. More support would be given to seniors with lower incomes and less would be paid to wealthier seniors. A government plan would be available; however, if the costs to provide the service are more for the government than it costs private plans, seniors would be required to pay the difference. Lathan K. "Differences Between Obama and Romney Health Care." DifferenceBetween.net. July 18, 2017 < http://www.differencebetween.net/miscellaneous/politics/ideology-politics/differences-between-obama-and-romney-health-care/ >. There is no use in knowing the difference as none of the plans works out to the people in the way they wanted them to be !